After unexpectedly taking the world box-office by storm in 2016, the violent, potty-mouthed hero-in-red is back, and although it mostly delivers just more of the same, this time around there are some stronger supporting characters to help balance its star’s one-note schtick, as well as a better director who gives the endeavour more style and kick. Opening with a nod to You Only Live Twice, we see our titular character (Ryan Reynolds) apparently, and explosively, killed off, but since this is a hugely profitable studio franchise, it can all be taken with a grain of salt. 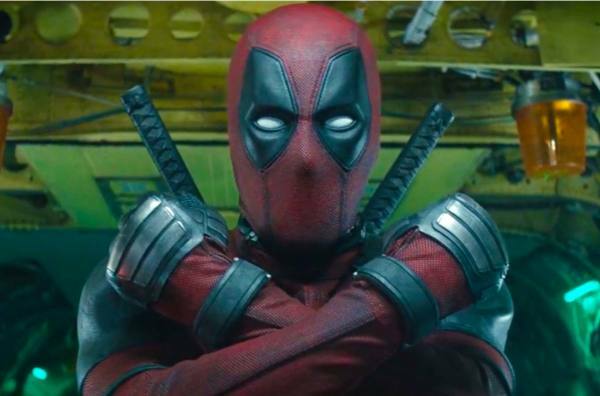 The story then rewinds six weeks to detail the incidents that lead to Deadpool making such a drastic decision, which largely involves his loving girlfriend Vanessa (Morena Baccarin). Deadpool, now a global crime fighter, reluctantly ends up back at the X-Men mansion, but agrees to tag along with Colossus (voiced by Stefan Kapicic) and Negasonic Teenage Warhead (Brianna Hildebrand), when a call is made to assist at an orphanage, where young mutant Russell (Julian Dennison) is causing trouble. Once there, it is obvious that the commotion was instigated by the abusive treatment inflicted upon him by the almost evangelical Headmaster (Eddie Marsan), and as usual, Deadpool’s antics causes mayhem instead of a quick, peaceful resolution. Russell however sees a possible ally in the unpredictable red menace. Complicating matters is the arrival of a mysterious time traveller by the name of Cable (Josh Brolin), who has come from the future to specifically target Russell, and attempts to carry out his mission with Schwarzenegger-like determination. Not knowing who this intimidating assailant is, and why he is obsessed with the young mutant, Deadpool tries to put his own team together to save Russell and stop Cable, which includes new recruit Domino (Zazie Beetz), whose main power is luck, something the group are in short supply of. 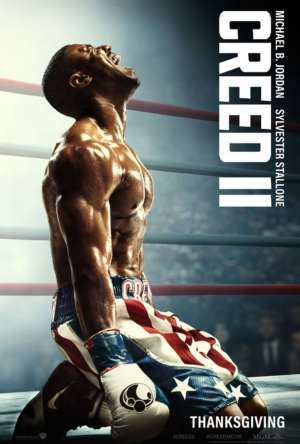 I was not a fan of the first film, which beat the one joke to death loudly and repetitively, so I had very low expectations for the sequel, so it is nice to say that this more elaborate follow-up is better-than-expected. It still goes a little too out-of-its-way to say that it is a self-aware, R-rated superhero film (yes, we do realise that), and Reynolds’ non-stop stream of one-liners are again extremely hit-and-miss and border on monotonous, but other factors are a noticeable improvement, starting with some refreshing new faces that surround its main actor. Brolin is definitely a welcome addition, bringing much needed dramatic weight to such irreverent material, even if it seems strange seeing him play a Marvel antagonist so soon after Avengers: Infinity War (Cable’s initial entrance amusingly references The Adventures of Buckaroo Banzai). With Deadpool and company facing off against a formidable opponent, their quest feels ever so slightly more consequential. Dennison (who was wonderful in Taika Waititi’s Hunt for the Wilder People) is another asset, making the conflicted Russell more accessible, and the producers should be commended for allowing him to keep his natural, New Zealand accent. There is also a sweet-natured turn by Shioli Kutsuna (Unforgiven, Bitter Blood, Oh Lucy!, The Outsider) as fellow mutant Yukio. Ryan Reynolds is a likeable-enough actor, but his comic sensibilities are an acquired taste, with a little bit of its antics going a long way. Reminiscent of Chevy Chase in the late 70’s and early-mid 80’s, Reynolds has a similarly self-confident persona and rapid-fire delivery, but for every ad-lib that hits, too many simply miss the mark. With Reynolds credited as co-writer this time (alongside returning scribes Rhett Reese and Paul Wernick), the comedic inconsistency is somewhat more noticeable this time, while moments that may need to be taken seriously fall flat, clashing with the film’s dismissive, cynical tone. However, when a bullseye is hit, the results are inspired, such as a subplot involving Rob Delaney as Peter, or when Deadpool complains about two particular songs sounding strikingly similar to each other. Overseeing all the destruction, profanity, and pop culture references on this occasion is David Leitch, and his handling of the numerous, large-scale set-pieces is decidedly crisper, meaner, and punchier. Having worked as a co-director on the surprise hit John Wick, then taking the reins solo for the maddeningly uneven Atomic Blonde, Leitch stages and executes the action with more confidence and sheen than predecessor Tim Miller. Production values are considerably higher too, understandable given the first film’s enormous financial success. Like all superhero films, Deadpool 2 is too long (by at least fifteen minutes, with a Get Smart-style scene near the end which seems to go on forever), and there are rehashed jokes that have the same middling effect (the jokey opening credits being a prime example), but for all its flaws, this is a mildly entertaining sequel, improving on a film that was more irritating than innovative. Make sure you keep your eyes open for some surprises, and as is stock-standard now for a Marvel-themed picture, make sure you stay through the ends credits. Here we are in May and we’ve Marvel superhero movie number 3 of this year is here but from those guys who made those awful Fantastic Four movies and that Daredevil movie starring Bat-fleck. (Does anyone even remember that movie?) Anyway their back with Deadpool 2 a parody of a dumb superhero movie, an R-Rated comedy and a family movie. I just want to point out before we get started is I enjoyed Deadpool 2 it was a fun time. But I want to address what is wrong with this movie first so I can end this with the positives so keep that in mind while reading the negative section that I don’t hate this movie. The Plot – So this movie once again focuses on Wade Wilson aka Deadpool (Ryan Reynolds) and his boring love interest Vanessa (Morena Baccarin). I won’t get too much into her but how I would describe her is a line that Wade says in the first movie when they first meet. Anyway after that Deadpool joins up with The X-Men (but with the same two from the last movie) then they meet a young mutant named Firefist (Julian Dennison) who’s only purpose is to be a literal plot device for Deadpool to learn his lesson. This is where Cable (Josh Brolin) comes into play. Cable is like a terminator (do they explain why he’s a half robot in the comics because they don’t explain it in this movie?) except he has a family who dies and he’s after the kid so he can fix the future. So after that Deadpool and T.J Miller’s character form a superhero team and from there it’s a standard superhero film but with crude jokes and references everywhere. The story is fine but it reminds me a lot of the first movie’s plot. Deadpool wants to be with his girlfriend. Again. Someone wants revenge. Again. Colossus (Stefan Kapicic) wants Deadpool to join the X-Men. Again. The Main Villain is very boring. Again. Let’s make fun of X-Men Origins: Wolverine for closing Deadpool’s mouth Again! This one does change it up a bit but it’s very unoriginal. The Fight Scenes and Green Screen Stuff – The first movie made fun of how cheap it was. It showed this with Deadpool always forgetting his bag of guns before going into a fight. This one jumped from 58 million to 110 and here’s where the problems come in. The fight scenes look better when Deadpool is fighting people like Cable. Later in the movie when there is a car chase it looks really bad and especially with the generic superhero final battle. You can clearly tell it fake. It’s on the level of X-Men: Apocalypse on bad green screen effect. Whenever we got to the fight scenes I just tuned out. The Bad Characters – This is where we start to sink into the good. I think everyone did a pretty good job with what they were given. But these were the ones that just sucked. I already mentioned Wade’s flat girlfriend so let’s start with the kid who I’ve seen him in better parts but not this one. I think he was the weakest character in the movie and his performance was pretty bad. Negasonic Teenage Warhead (Brianna Hildebrand) is back and she doesn’t do anything but she has a girlfriend now (good for her). TJ Miller is just there and half of The X-Force are only there so the movie can make fun of their gimmick or dumb name. Anyway let’s move on. The Good Characters – Ryan Reynolds steals the show once again as the merc with the mouth. You can tell he is very passionate about his work and you can see it all in his excellent portrayal of the character. Josh Brolin was pretty good in this movie and so was Deadpool’s Taxi Driver friend. Domino (Zazie Beetz) was a fun new addition to the movie. Her powers are questionable but it was pretty funny. The best supporting character in the movie is Deadpool’s elderly friend Blind Al (Leslie Uggams) who was great in every scene she’s in. Last character I’ll mention is Colossus who has the best relationship with Deadpool than all of the other characters. If the next movie is just about these two travelling through time together that would be great. The Humour – Lastly is the comedy. The story is boring and forgettable, but like the first movie it mostly focused on the comedy. Some of the jokes can be a hit or miss but you will never be bored. It’s a really dumb crude movie and it does a great job at keeping you interested in what’s happening. There’s a lot of 4th wall jokes like the first movie same with pop culture references, some over the top violence and making fun of the other X-Men movies. Probably the funniest scene in the movie is when they redo the scene from the first movie where Deadpool touches Blind Al with his tiny regrowing hand. But this time it’s funnier. The ending goes on too long but it doesn’t disappoint with the end credit scenes. Final Thoughts: Deadpool 2 has its faults but it’s still a fun time. It’s the most fun I’ve had in a movie so far and it’s a 7/10 for me. If you haven’t seen it I highly recommend it you’ll have a good time. Those are my thoughts on Deadpool 2 if you agree or disagree please let me know in the comments. If you can share it with your loved ones that would be great and if you haven’t notice I’m a huge fan of movies and TV Shows and I’m willing to suffer for my audience so let me know on what I should review next. I just want to say this will be my last review on this site because I’m moving over to my new site The Blog Complainer.com. Where if you’re interested I’ll be posting my future reviews from there. I’ve had a great time on this site and it was good starting point for me to find my place and my edge. Thank you for having me here and I hope to see you at my new site.